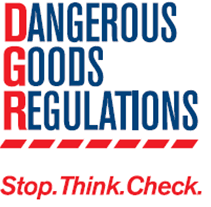 Significant Changes to the 2019 IATA Dangerous Goods Regulations | BDG International, Inc. There have been Significant Changes to the 2019 IATA Dangerous Goods Regulations. The 60th edition of the IATA Dangerous Goods Regulations incorporates all amendments made by the IATA Dangerous Goods Board and includes addenda issued by ICAO to the 2018–2019 edition of the Technical Instructions. The significant changes to the 2019 IATA Dangerous Goods Regulations are published at the link below. The list is intended to assist the user to identify the main changes introduced in this edition and must not be considered an exhaustive listing. The changes have been prefaced by the section or subsection in which the change occurs.